You might have heard so many good things about Yi camera series but still there is a point worth mentioning that you all will find annoying. The camera package does not include any accessory so you need to buy them separately. This article contains complete details about suitable and essential accessories for Yi 4K action camera. 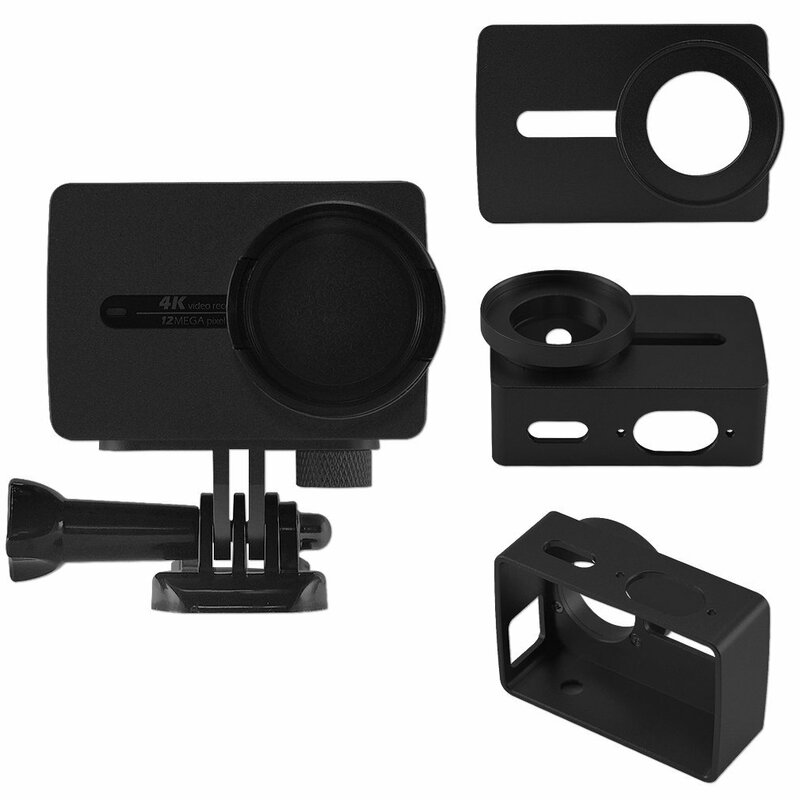 The list includes some Yi products along with many third party accessories that are compatible with Yi device. 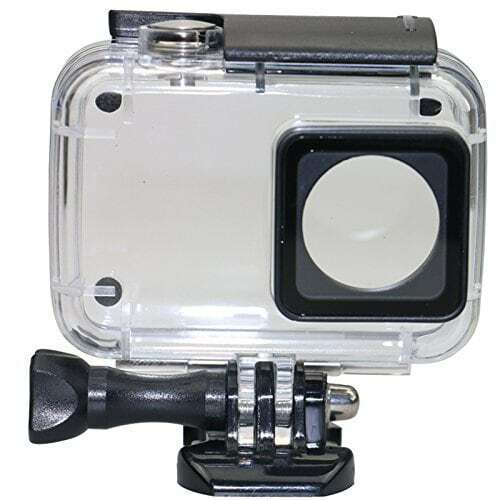 The underwater case of Yi action cam can serve users up to 40 meter and you will get a ¼” tripod mount along with this case. It can assist users to capture high definition images with its 98.5% light transmittance features. Product is designed with ultra durable material. You can order this product with payment of $39.99 on Amazon. 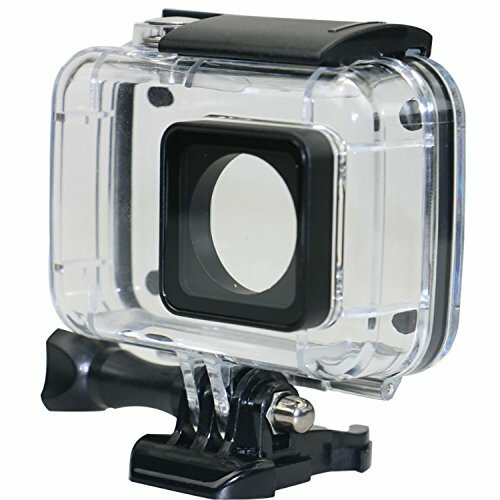 It is designed with A-Grade type high transmittance Acrylic glass substance and is suitable for Yi 4k action cam. 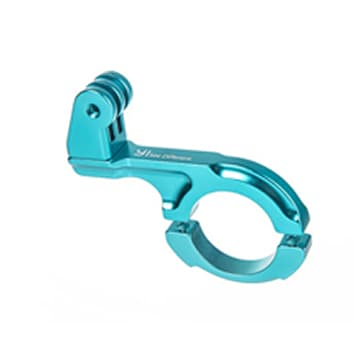 This product is considered ideal for underwater activities like snorkelling and diving etc. 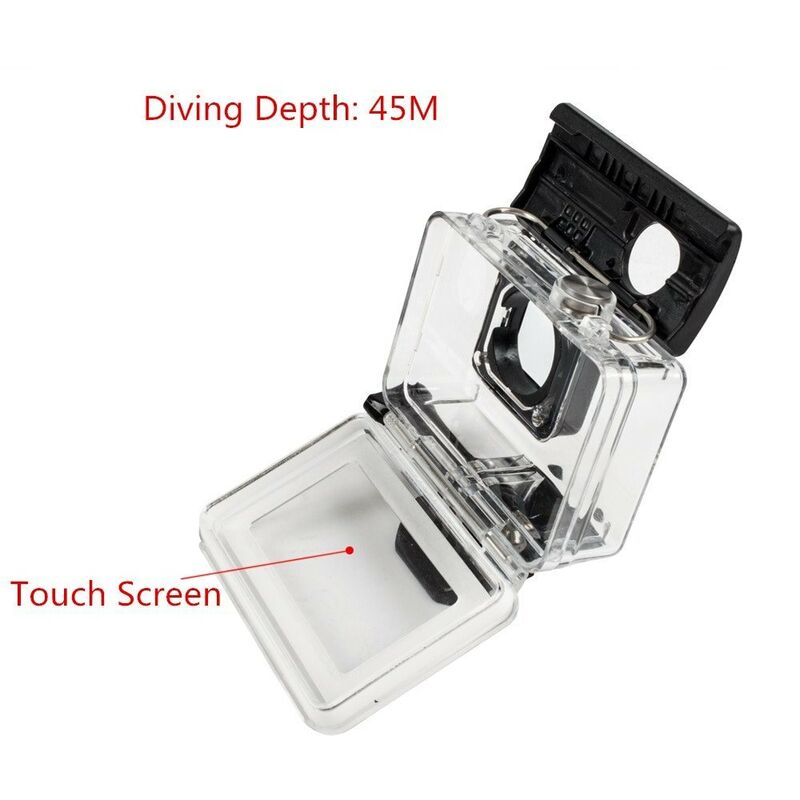 Deyard case is waterproof up to 45 meters and it’s specially designed flat glass lens ensures clear videos and photos under water. 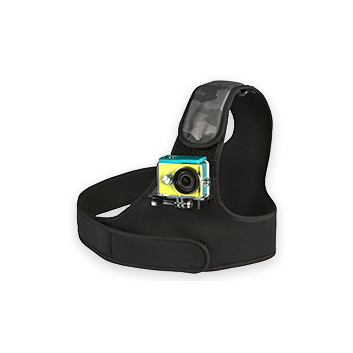 It can be easily used underwater up to 40 meter with Yi 2 and is considered as best choice for surfing, snorkelling and diving needs. Shooting stays perfect with its high light transmission PMMA type material. Its anti surf pressure type design assists in better stills even during movements. It comes with a specially designed waterproof shell that can keep camera safe from scratch, dust and water. Adika case is made up of transparent ABS material and can go up to 45 meter underwater. Best case for Kayak Slalom, rafting, paragliding, surfing and diving needs. 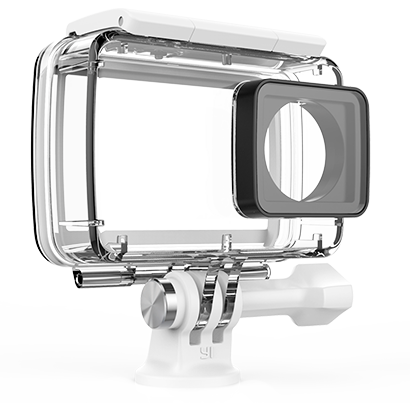 As users need to buy additional protective housing for keeping their Yi camera safe under water but most of the cases never allow access to touch screen. 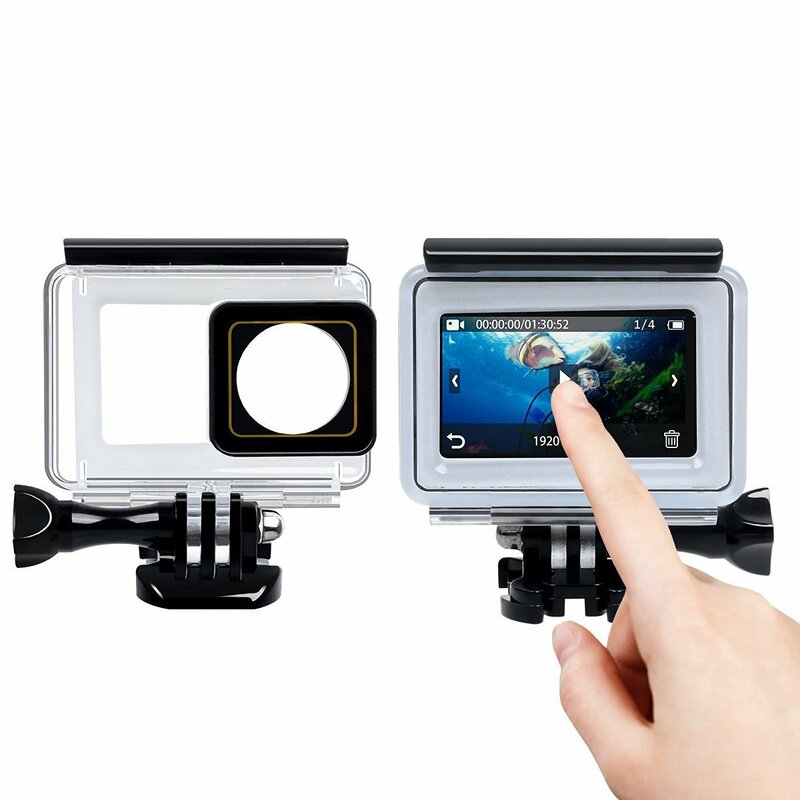 Here we have picked two products that are best choice if you need control to your touch screen under water without damaging your camera. This waterproof cover can protect Yi camera from scratch and dust. Touch screen can be handled easily and maximum safe diving depth is about 30 meters. It is suitable for under water sports activities like diving, surfing etc and for rafting and paragliding. It can keep your device safe under water up to 132 feet and also protects against scratches and sand. Corprit case is made up of ABS plastic material and it can resist against pressure during surfing. It is available in white and black colour and is made up of European PU leather that provides additional protection to Yi camera. Its special feature is UV filter that can protect lens frame and adjusts performance for optimal view. 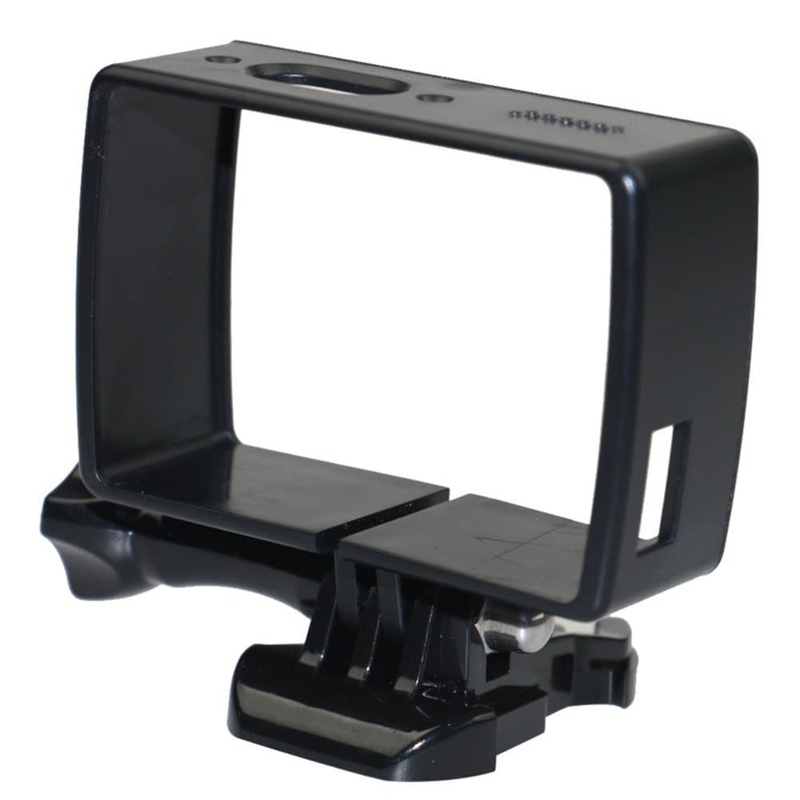 This third party protective frame can keep your camera safe as it is made up of rich quality PC and is highly durable. It is not recommended to use in adverse weather conditions. It is good to buy a aluminium case instead of plastic frame because it offers strong protection and is much durable. This accessory is compatible only with Yi 4k action cam but it is not waterproof so should not be used in extreme conditions. This third party product is compatible with Yi 4k action cam. The included lens cap keeps screen safe from scratch and dust whereas silicone type protective housing maintains camera safe during knocks and bumps. 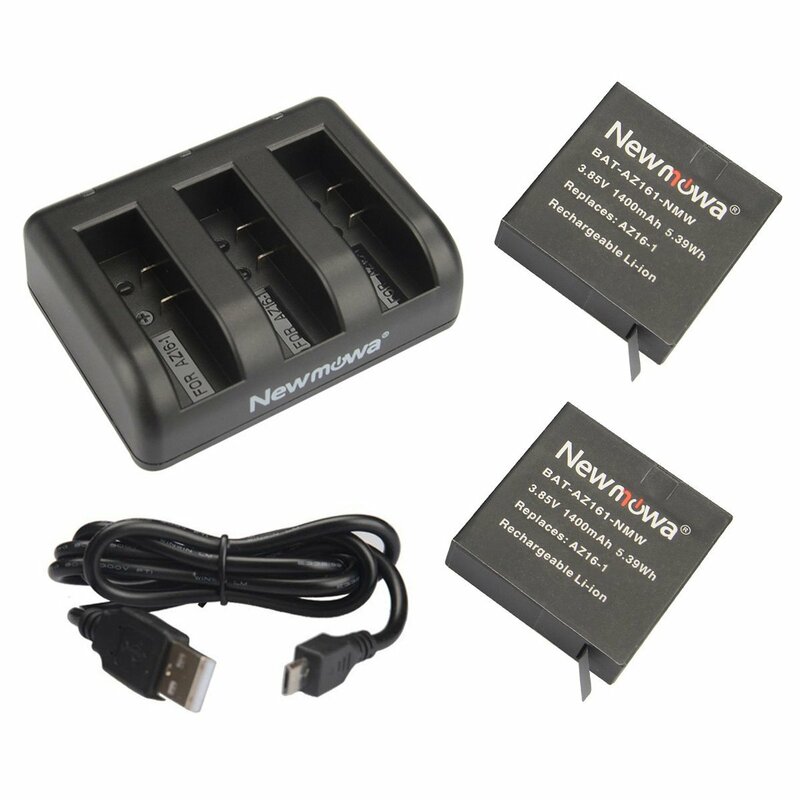 It provides easy access to all buttons and ports and soft rubber makes it easier to install. It will help you to keep your camera stable while taking first person shots. This original chest strap is designed with neoprene material so is waterproof. High quality stainless steel prevent it from rust and it can be adjusted anywhere between 27” to 67”. 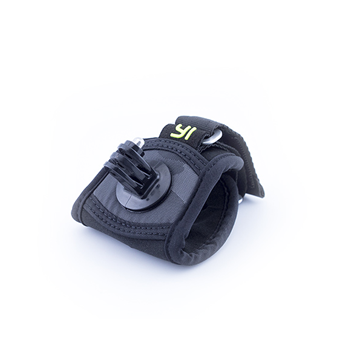 It can be easily attached to wrist while keeping hands free during adventure sports activities. Mount can easily rotate up to 360 degrees while maintaining perfect view at all angles. 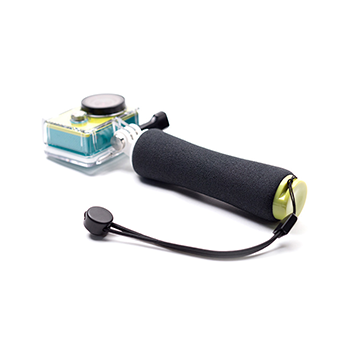 It is advised to use this hand mount with waterproof case of Yi Action cam. This Yi handlebar is able to capture videos with 360 degree rotation while maintaining impressive view on all angles. It is made up of stainless steel material leading to higher resistance so that it can be used in worst atmospheric conditions. 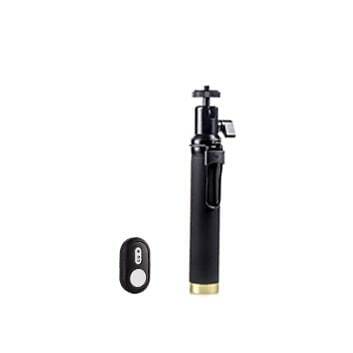 You can control YI cam up to 33 feet with this Bluetooth remote and the battery life can serve you for one year easily. The 2-in-1 type metal clip can be attached to pocket as well as can be held in hand easily during remote operations. 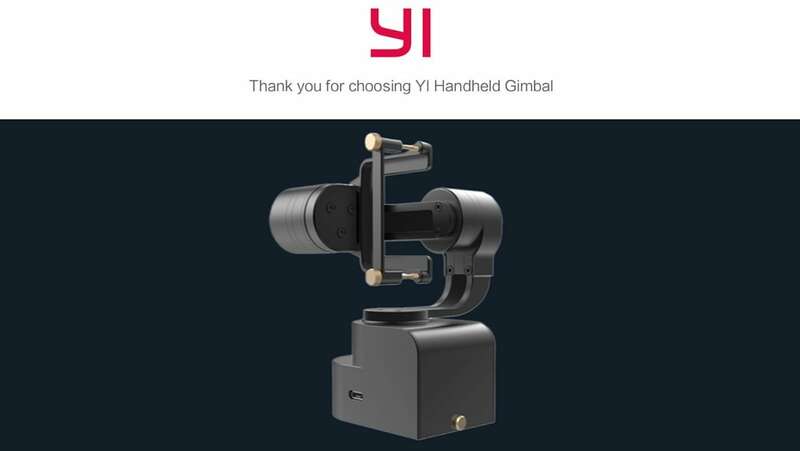 It is perfectly suitable for YI 4k and Yi action cam. You will find its results much better than electronic image stabilization feature. With standard ¼” tripod type mount it can be easily attached to monopod. It’s a perfect choice for underwater shooting needs with handy grip. 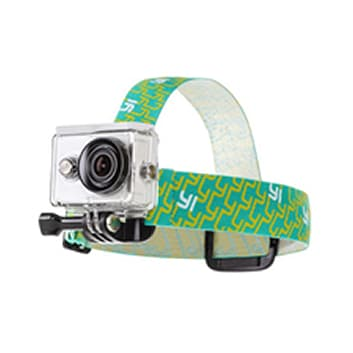 The adjustable wrist strap keeps camera safe and the grip is designed with neon green base to enhance visibility. 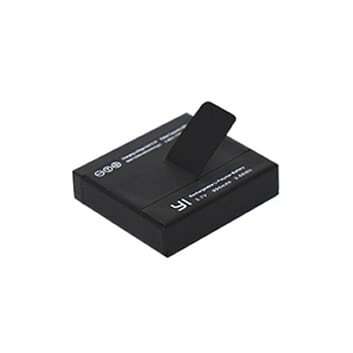 This high performance type battery offers battery life of 120 minutes and can work perfectly in all temperature ranges. It is resistible to vibrations and shocks. 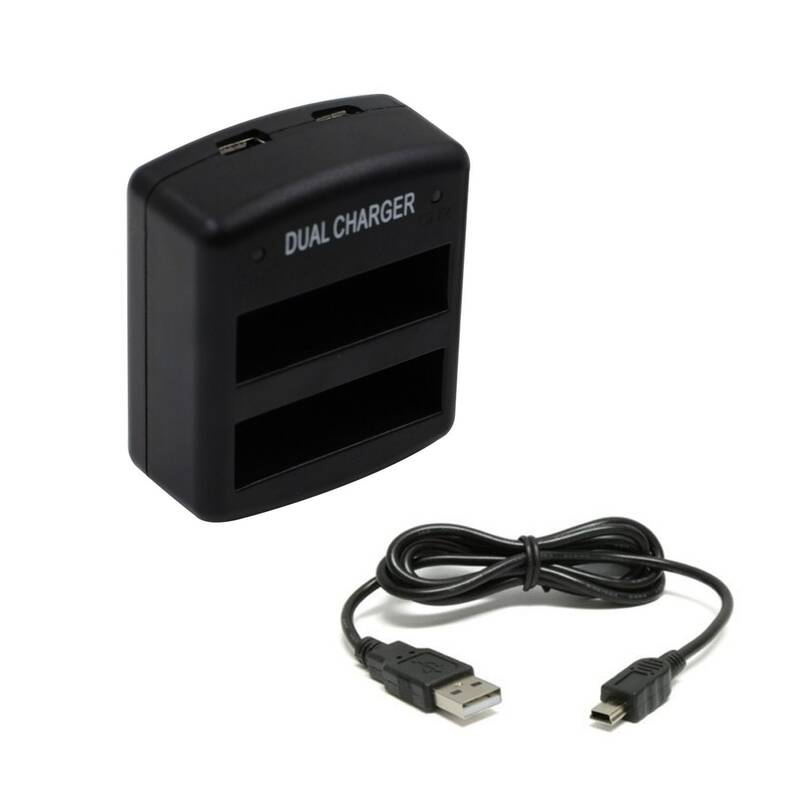 This innovative design of charger can be used to charge 2 or 3 batteries simultaneously. The smart LED indicator shows red light when batteries are charging and green when full. It is compatible with Yi 4k Xiaomi Action Cam and can charge two batteries at a time with stable and fast performance. Dual LEDs will help users to identify charging status.